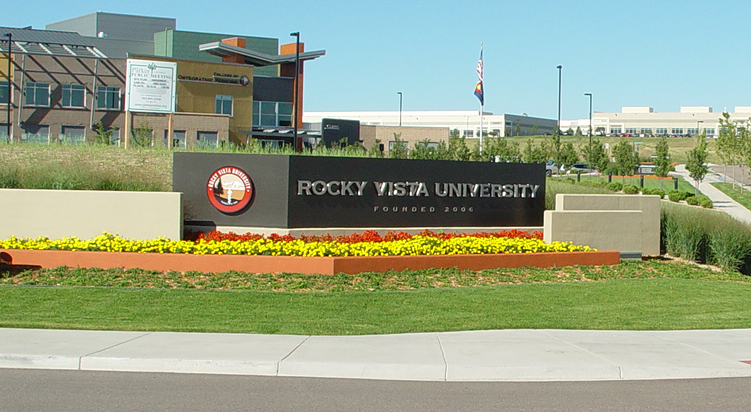 Rocky Vista University — Plan West Inc. 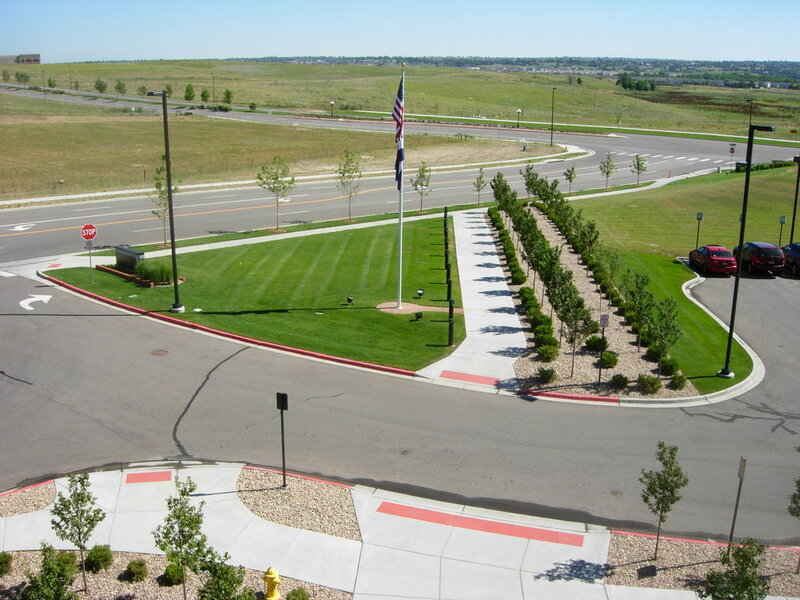 The site design creates the campus setting for higher education. The setting starts with a diagonal line of trees, shrubs, and ground covers to direct the eye to the front door and create the recognized Chambers Road address. A 26-foot grid of canopy trees and in seat-high raised planters create the center of campus. The planters, trees, and shrubs create the plaza and become outdoor rooms as a seamless extension of the indoor library, classrooms, and study environment.